There are three primary terms you need to be familiar with when researching private long-term disability insurance companies; Income Benefit, Elimination Period and Benefit Period. 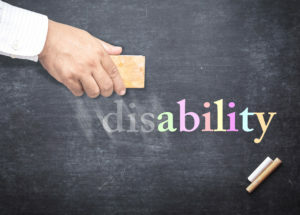 In the following article, we will address all three of these terms and give you a solid overview of long-term disability benefits. The best long-term disability insurance will be a private or individual policy that you can tailor to your own preferences. Most employer based group disability insurance policies provide benefits for 2 years, even though most employer based group long-term disability claims last almost 3 years. For this reason alone it pays to consider supplemental disability insurance separate from your employer. How long is long term disability? Long term disability is as long or as short as your disability lasts. Research points to a disability that lasts more than 90 days will typically stretch out to 2-3 years on average. So, the average length of time for long term disability will be between 2-3 years for group disability claims. It is actually a little shorter for private disability claims, probably due in part to people on private claims, particularly those who are self-employed, wanting to get back to work sooner. So, how does long-term disability work? Long-term disability works by providing an income replacement benefit if you suffer a disability due to sickness or injury. That includes musculoskeletal and connective tissue disorders, which is a fancy way to say back pain, arthritis, fibromyalgia, etc. And the injury or illness does not have to happen at work. You might take a ski trip and run into a tree, or simply slip and fall in the shower. Unlike worker’s compensation, long-term disability insurance covers you inside and outside the workplace. If you are disabled, you will need to file a claim with your insurer. Your insurer will review your claim and the your disability benefits can begin as soon as your policy allows. So, when does long term disability kick in? Your long-term disability income benefit kicks in after your elimination period. A disability elimination period is best described as a period of time that must pass in order for your cash indemnity income benefit to start. You get the choice of elimination period when you set up your own private long-term disability policy. You can choose from 30 days, 60, 90, 180, 365 and 730 days for your elimination period. Why would I want a long elimination period? The longer your elimination period, the lower your long-term disability insurance rate. It is good to weigh the pros and cons of a lower premium vs longer elimination period. The pros being you get a lower premium. The cons being your income benefit will not start for a longer period of time. How much is my income benefit? Once again, with a private or individual LTD insurance policy, you get to choose your income benefit amount, up to a maximum allowed by the insurer. Your income benefit maximum caps out around 50-60% of your current income. You can also get a cost of living adjustment (COLA) rider, which increases your monthly income benefit amount to keep up with inflation. How long does my disability income benefit last for? Long term disability benefits last for your benefit period. You get to choose how long you want your benefit period to last. Since the average individual long term disability claim lasts between 2-3 years, you should at least consider a 5 year benefit period. So what are my income benefit period options? The duration of benefits for a disability income insurance plan can be as short as 2 years, all the way up to conditionally age 75 . There is a lot to consider when researching your own private long-term disability insurance policy. There are other key terms and definitions that you should be aware of, such as own occupation, non-cancellable and guaranteed renewable. Further, there are certain riders that can also be beneficial to add on to your policy. The bottom line is, it pays to have an expert help you along and provide insight into the different nuances of the different policies and companies. Next Post: Mercari App review… Because you can never have too many options!